Chunky bead necklace in glossy black Oynx. 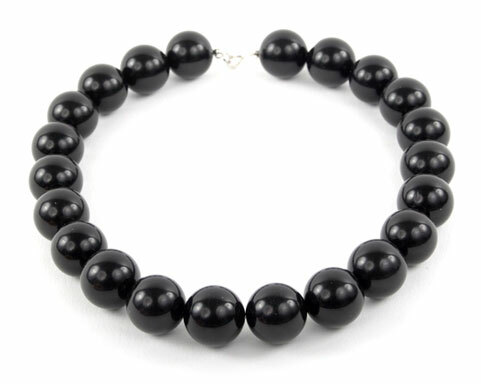 The Oynx beads measure 18mm and are a beautiful matt/glossy pure black. Measures 18 inches finished with a sterling silver fastening.